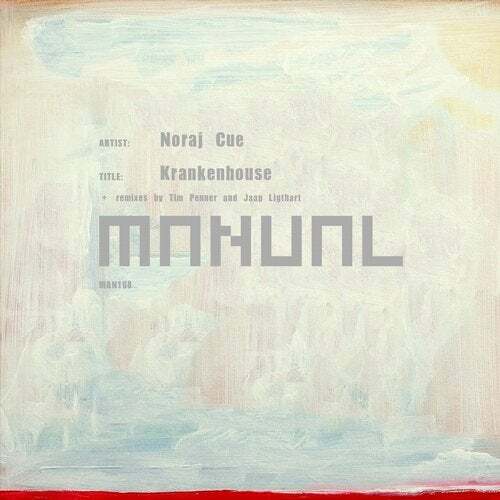 The latest release on Manual Music finds the label showcasing the first single from Noraj Cue's highly anticipated debut album 'Kobalt'. The Dutch producer has certainly found a home on Paul Hazendonk's long standing imprint. Noraj was a primary collaborator on Paul's critically acclaimed 'Adapt' album from 2014, and has now appeared on Manual Music a total of 22 times. Due for release in September, the long awaited 'Kobalt' will be available on both the digital and CD formats. As a prelude, Manual Music now presents the 'Krankenhouse' EP which includes two forthcoming album cuts alongside a bonus track and remixes from Tim Penner and Jaap Lightart. For those that follow Noraj you know he's highly skilled at crafting a wide range of contemporary electronic styles, it's one of many things which make his impending album so intriguing, if 'Krankenhouse' is anything to go by we're all in for something quite special. Anchored by a heads down groove, rough beats and deliberate drums it sets a lovely hypnotic mood early. Gnarly stabs and a smooth rhythmic complement build momentum before the bass tones intensify for some additional funk. With the energy now at its peak a wonky lead gets teased in over the framework as the breakdown commences. Strong hits and a wall of white noise provide a euphoric rush as the beats drop back in propelling the track to an exhilarating conclusion. A great start to the EP. The lone interpretation of 'Krankenhouse' is provided by Tim Penner who is making his first appearance on Manual Music. The Canadian producer and Slideways Music label boss has been enjoying the best year of his career. Tim is fresh off remixing Max Graham's 'Redemption' single which launched the Canadian legend's brand new Cycles imprint just last month. For his 'Krankenhouse' interpretation Tim has reworked the track into a starker more direct complement with a few unique twists along the way. Led by tough beats and gritty textures, Tim's edgy sounds build tension while some raspy hooks lock the groove down a notch further. Excellent use of dynamics make for an enormous presence and a well executed break, complete with shifty drums and a spiralling build send the track further into the stratosphere. Huge remix from Tim. The second original 'Universal Love' is also taken from the album and finds Noraj crafting a journey into contemporary electronica. Its carefully constructed groove mechanisms and eloquent themes are immediately compelling. There's a timeless elegance here which is never easily conveyed through electronics but Noraj has pulled it off in fine style.